I just can't seem to get this post written today. I'm having a very crazy, mixed-up week. Just do it. We are almost caught up in The American Patriot's Almanac by William Bennett. Essentially, we read about 1.5 weeks worth, so we are behind a bit. Lots of great stuff in there, and we still love the book. The Fellowship of the Ring by J. R. R. Tolkien. We finished chapter 2. And had to return it. I am reading Albert Einstein by Kathleen Krull and Investigating Rocks by Will Hurd, as part of the Moving Beyond the Page units that I am doing with William and Thomas. I am reading Poppy by Avi to Richard and Trina. Also part of a Moving Beyond the Page study. We'll be reading some other books too, but haven't started them yet. We started Tower of Babel by Bodie Hodge as a family read-aloud. Review coming soon. Amazing book. We're barely into it, but I've scanned ahead. I have some other things planned, but nothing started. And no photo. I'm going to try to get a photo up later. How about you? What are you reading out loud? I am desperate for some inspiration, so feel free to link up your posts about reading aloud, or leave me a comment and tell me I can do it... This week, I am going to visit and comment on everyone who links up. I usually do that, but messed up this past week. I did visit everyone though. My kids seem to grasp math fairly intuitively, but I have a couple who struggle with reading. That can make teaching math rather trying, as most math programs assume the child is reading at a much higher level than they are operating at mathematically. A bit over a year ago, I finally looked seriously at Math U See. I should have done that a long time ago. The elementary levels of Math U See (Primer through Zeta) can be done by watching the video, working with Mom a bit, and then having only a very limited amount of reading to do in order to work the problems. That's a perfect solution for my students. Prior to this review, I had worked with levels Alpha, Beta, Gamma, Delta, Geometry and Algebra 2. Being able to start Epsilon: Fractions and Other Topics was absolutely perfect timing. And what is really exciting? Math U See has just finished revising the elementary levels, so I got to try out the new and improved version. Since we already had the workbook purchased (and I was borrowing a DVD and Teacher book), that meant I got a really good look at the new features. Basically, my son watches the DVD lesson, and then works the first worksheet (A) for the lesson. He's in 6th grade, and a lot of this material is review for him. If he completes it quickly and accurately, he skips ahead and goes straight to the first one that includes review (D). If he completes that quickly and accurately, he moves to the Application & Enrichment page (G), and then the test. If he works quickly and accurately, he is ready to move to the next lesson. If he doesn't complete the work quickly and accurately (so far he has), there are additional worksheets. Worksheets A, B and C in each lesson work specifically with that lesson's concepts. Worksheets D, E and F cover that lesson's material PLUS some review of previous concepts. The biggest new feature is the Application & Enrichment (Worksheet G). More on that later. Epsilon focuses on Fractions. 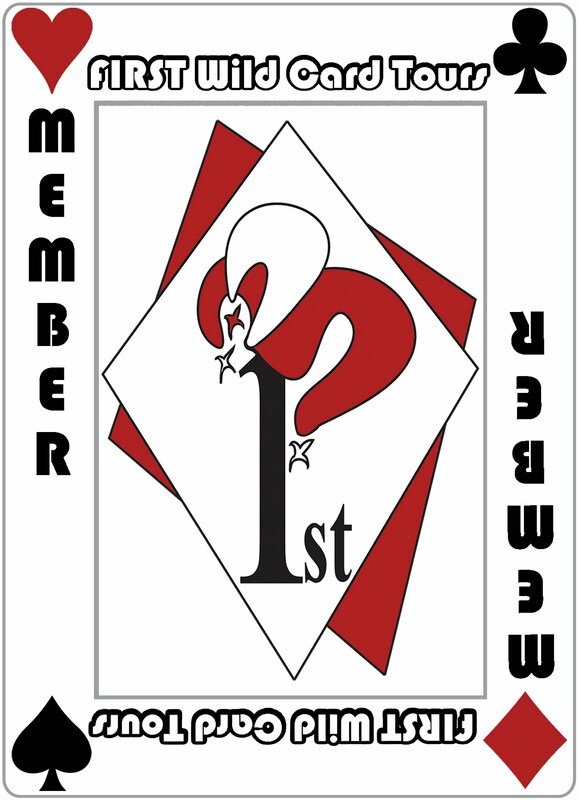 During the review period, we got through the first eight lessons. The package includes the Student Workbook and the Tests ($30); Instruction Manual and DVD ($45); and the fraction overlays ($33). The Math U See blocks are not required in Epsilon. Here is a bit from lesson 6, where he is learning about combining fractions with different denominators. 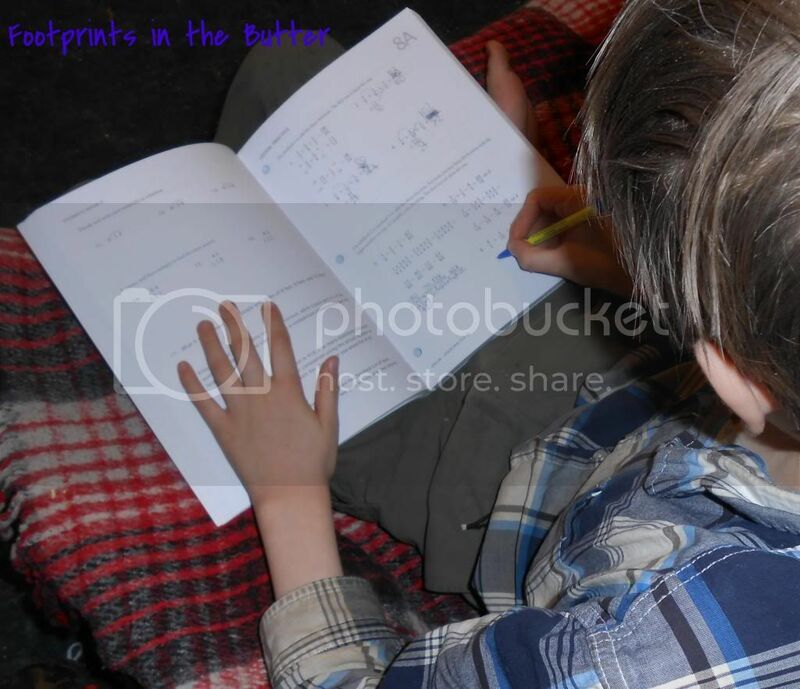 In the photos below, Thomas was asked to add 1/2 and 2/5, and then asked to subtract 2/5 from 1/2 as well. First, he created 1/2 (the red one) and 2/5 (blue). He can't combine them though, because they aren't the same kind. He needed to change them so they'd be the same kind, so he grabbed another halves overlay to put on the blue 2/5... clearly showing that 2/5 is the same as 4/10. 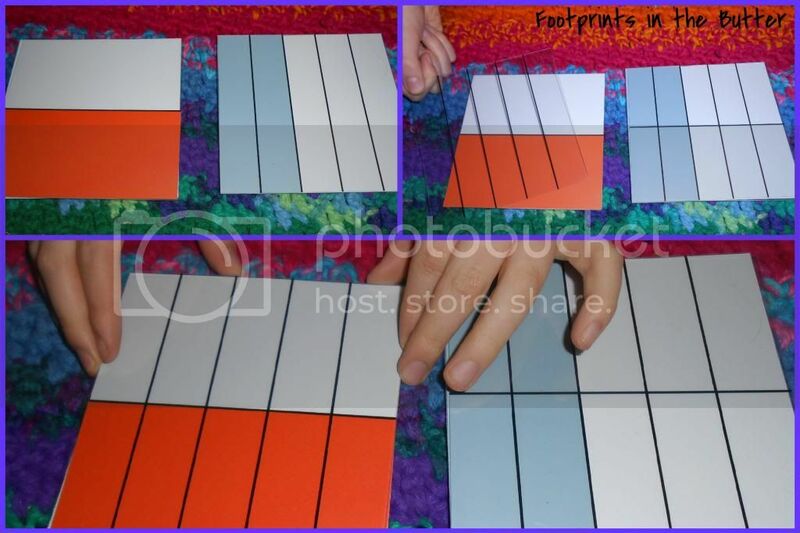 He is in the process of putting the fifths overlay on the 1/2 in the top right photo. In the bottom photo, you can see that 1/2 = 5/10 and 2/5 = 4/10. So 1/2 + 2/5 = 9/10. And 1/2 - 2/5 = 1/10. Not only is it easy, but it makes sense, and even the 3rd and 1st grader were grasping the concept. The DVDs haven't changed at all. The scope and sequence of the overall program is the same. It is still a mastery program. The methods and techniques that make Math U See such a great program are still there. An "application and enrichment" page is added to each lesson. The main idea is these pages is to work on word problems, but there is also a bit of new teaching and some stuff that is just fun. The Instruction Manual has a lot more help for the parent in teaching the concepts. But... this is something I rarely use myself. Like my kids, I've always found math fairly intuitive, so watching Mr. Demme on the video is enough for me. However, the changes in the Instruction Manual could be really helpful, especially if you are a bit anxious when it comes to math. 8A is identical in content. The new version includes more space for working out the problems. 8C is identical except for spacing on the word problems. 8D is identical in content, but the problems are spaced out a bit more. The review (in both old and new) has them doing double digit multiplication, and also long division, including writing remainders as fractions. 8E is identical except for spacing on the problems. 8G -- the Application & Enrichment page, features problems relating to music (whole note, quarter note, half note) and has them adding up notes to equal full measures. Very, very cool application page. What about the lesson he'll start today, since that is one with changes in the teaching? Lesson 9 introduces the idea of multiplying fractions, or taking a fraction of a fraction. The worksheets (A-F) are very similar in the two versions. There are a couple wording changes in the directions that are totally immaterial ("Not all of these can be built with the overlays." vs. "There are no overlays for some of these.") and some equally immaterial wording changes in a couple of the word problems. The difference in the teaching is all in the Application & Enrichment page (9G). This application page emphasizes that multiplying by a fraction is going to give an answer smaller than the original amount. Worksheet 9G also has the student taking a fraction of a whole number. There are three word problems on this sheet that involve problems like 3/4 x 9 = ___. Neither of these concepts is stated outright in the old materials. Rather, it is assumed that the student will intuitively grasp both ideas. The test now includes a couple of problems dealing with taking a fraction of a whole number. The other difference is in the Instruction Manual, where there is a bit (a few sentences) of extra explanation about fractions of fractions resulting in answers that are smaller, and about fractions of a whole number. I love the new Math U See materials. I already loved Math U See, I will confess. But the Application & Enrichment pages make it so that I am comfortable with my kids doing just Math U See. Because before, it seemed like there were some little pieces here and there that were missing. Conceptually, my kids have been grasping math incredibly well since changing to Math U See last summer. These extra pages, though, make me feel even better about the program. What I absolutely love is that I don't have to purchase all the new stuff for the levels I already have. I can use the teaching materials I already own and just buy new workbook/test book sets. Because I am competent with elementary math, I won't need the answer keys or additional instruction information from the Instruction Manual as the changes are pretty minor and I know I can do it from the information directly in the student workbook. However, Math U See is providing answers for the Application & Enrichment pages on their website, so that could save me a bit of thinking. I am thrilled that I can get the benefits of the new program for my younger children! Note that Math U See does not follow a traditional scope and sequence, so if you are jumping into it with an older child, you may find yourself starting your 5th grader with Gamma (as I did). Be sure to take the placement tests! However, if used sequentially starting with Primer for Kindergarten, and completing roughly one book per year, Epsilon would be happening in 5th grade. And in spite of the verbiage used in the banner below, I want to make it clear that I received Epsilon as part of my job duties for the Schoolhouse Review Crew and I was not under any obligation to write a review at all. I will occasionally choose to write a review of Crew Product when I am actually using it with my family, we love it, and I make the time to write a review. I have not researched FTC rules enough to know if the below text is actually something I need to include, so I am just putting it in there. I didn't get my Bountiful Baskets stuff picked up yesterday... because the snowstorm made our driveway horrid, and we were expecting that the highway would be closed at any time and we might not be able to get home. A lady I met at Bountiful Baskets, though, was able to get there today once the highway reopened, and she brought my two baskets as far as the post office. YAY! She also can pick my stuff up next week, since I won't be able to get there. So I can contribute tomorrow! Anyway, here is one basket, except that I put one too many grapefruit in here, but I probably should have added another banana or onion or something. all the fruit will just be eaten. No planning necessary. 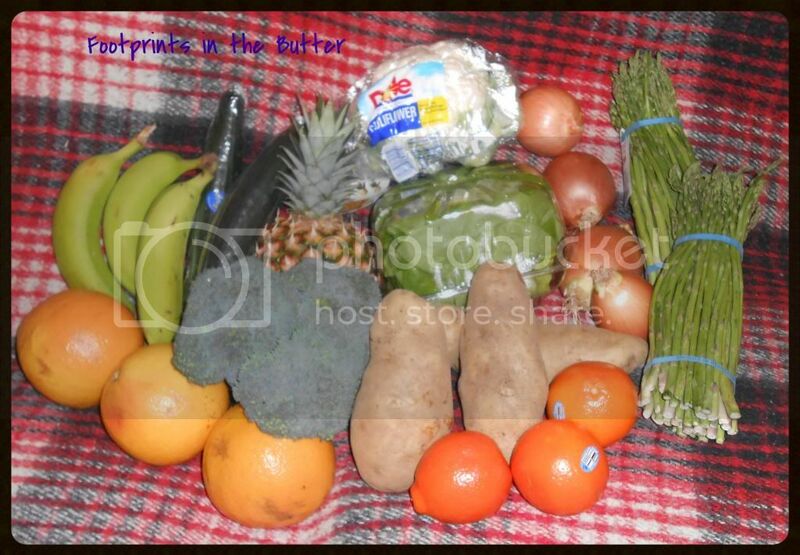 Potatoes, lettuce, and onions just get eaten. No planning necessary. Asparagus will be roasted, and this stuff is fabulous. Broccoli -- we'll be cutting some up to have with dip, we'll do broccoli in some type of casserole-y thing for lunch a couple days this week, we'll do stir-fry for dinner one night, and we'll freeze some. Cauliflower -- one head will be cut up to have with dip, the other will probably be in the stir-fry. Cucumbers -- oy, this is the one thing I just never seem to make use of. I'll slice one up to do with dip, and hopefully we'll manage to use the other two somehow. 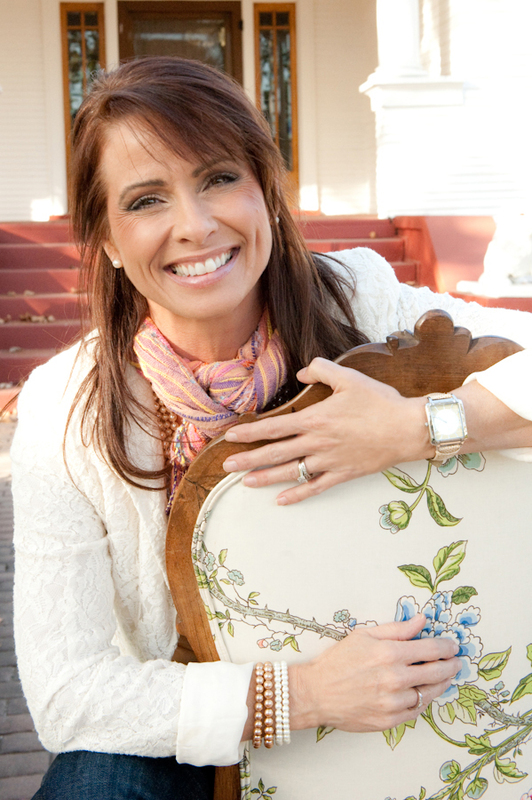 Rhonda Stoppe is a popular speaker who fervently imparts the truth of God’s Word to her audience. She is an enthusiastic communicator who unfolds Scripture with a contagious passion for truth as she teaches women to connect with God in an intimate “love walk” of obedience and to live deliberately in their purpose. She and her pastor husband, Steve, are the grateful parents of four grown kids. I'll confess that I have not yet read this entire book. I'm sure I will eventually. What I'm finding is that although it is very readable (which you can see for yourself below), I just can only read so much at a time. Rhonda has some great insights, and I can't say that I disagree with much that she has to say. It's just that I come from a completely different perspective. You know, nearly the opening sentences (there is one before these), say "I remember when my son Brandon was born. Looking into his little face, the feelings within me were somehow different from four years earlier when I had given birth to my daughter. I felt so inadequate as I weighed the responsibility of molding this baby into a man." My perspective is exactly the opposite. I could change this to say, "I remember when my daughter Katrina was born. Looking into her little face, the feelings within me were somehow different from each time I had given birth to a son. 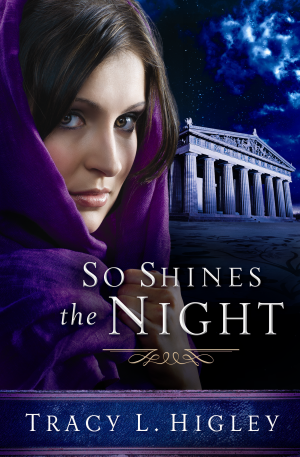 I felt so inadequate as I weighed the responsibility of molding this baby into a woman." I've determined I'm just weird. Clearly, I am supposed to be intimidated about the idea of raising men and comfortable with raising a young lady. But I'm not. Well, yes, of course the responsibility of bringing up four males in today's culture stresses me out. And it isn't that I don't feel inadequate, especially when in one of my more contemplative moods. But my feelings of inadequacy are so much greater when it comes to that little female person. I feel so inadequate when it comes to her. So I started from the first paragraph feeling like I can't relate. But the book does get into some really great stuff, and is quite down-to-earth. Bottom line: If you are raising sons, this book is undoubtedly worth reading. David, while not without his faults, was devoted to seeking God. In Psalm 89:20, God proclaimed, “I have found My servant David...” Note that God said He found David. Elsewhere in Scripture we read that “the eyes of the LORD run to and fro throughout the whole earth, to show Himself strong on behalf of those whose heart is loyal to Him” (2 Chronicles 16:9). Can you picture that? The eyes of God moving all across the earth in search of individuals whose hearts are loyal to Him. Why? So that He can show Himself mighty on their behalf. Isn’t that exciting? You don’t have to do this mother thing alone. God stands ready to offer you His strength. He is more concerned about the man your son becomes than you are! The Wonders of Creation series, put out by Master Books (a division of New Leaf Publishing Group) is a series I've been aware of for quite some time. However, it is only recently that we actually used any of the titles. The Archaeology Book by David Down, was well, well-loved by my middle child. I really appreciated that it was a book that could be used for a wide range of kids. The background in color-coded, so the pale background is a "level 1" (roughly 5th-6th grade), and you have colors for level 2 (7th-8th grade) and level 3 (9th-11th grade) as well. 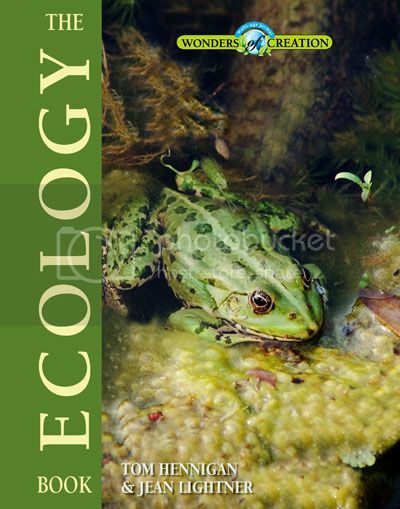 When I had the opportunity to take a brand-new title, The Ecology Book, for a test-drive even before it was published, you better believe I jumped at it. This book comes out in April, and I cannot wait to get my hands on a physical copy of this title. Written by Tom Hennigan & Jean Lightner, this has the same basic format as the other titles (yes, that is plural now) I have used in this series. The material is split into the levels, the photos are stunning and gorgeous, and well, the information is solid and engaging. How did we use it? Well, we are not anywhere near as far into this book as I hoped to be by the time this review needs to be up. Partially, that is because this is an awkward book to read aloud from a digital copy. And of course, we chose to read aloud because that is just who we are. The photos, graphs, charts, diagrams, etc. are integral, as you can see from this page. You need to see the "stuff" as you are reading/hearing about it. With all five kids listening in, that means a whole lot of stopping and flipping my laptop around so everyone can get a look at the images. A real book would be so much easier. On the iPad, it may have worked; but on the Kindle, it was just too small. So the laptop it was. Don't get this one in a digital format, even if it is offered that way. This title demands a real book. What do we think? This book is fabulous. We all felt the grade designations were a bit off, but that may just be because we do so much science around here. I'd label Level 1 as 3rd-6th grade, Level 2 as 5th-8th grade, and Level 3 as 8th-11th. Roughly. Even my first grader was grasping the Level 1 material though, and she got a fair amount of the Level 2 stuff too. The content is great, and I really think that this book, coupled with some hands-on projects (some of which are a natural extension of the book) could easily be the spine for a 1/2 credit high school course. Have the student do some observations and record some findings, have them work to demonstrate mastery of the vocabulary, and have them do a bit of research into one or more of the areas covered in the text, and you are probably there. I'd throw in a biography or two of some of the ecologists featured in the text as well, but we love biographies. Of course, there will also be a study guide available for this book, and based on the one for The Archaeology Book, that guide will help in making this high school credit-worthy. But I have not seen that guide. My boys (10th, 8th, 6th and 3rd grades) weren't too excited in the introductory chapters of the book. In chapter two, it starts out with some teens "huddled together for protection" because they are in the woods at night. My bigger boys thought that was pretty sad, actually, and were just a little annoyed at the whole thought that teens wouldn't have spent time in the woods at night before this. "And we don't even have TREES anywhere nearby!" exclaimed one of my teens. Later chapters though, did engage them. 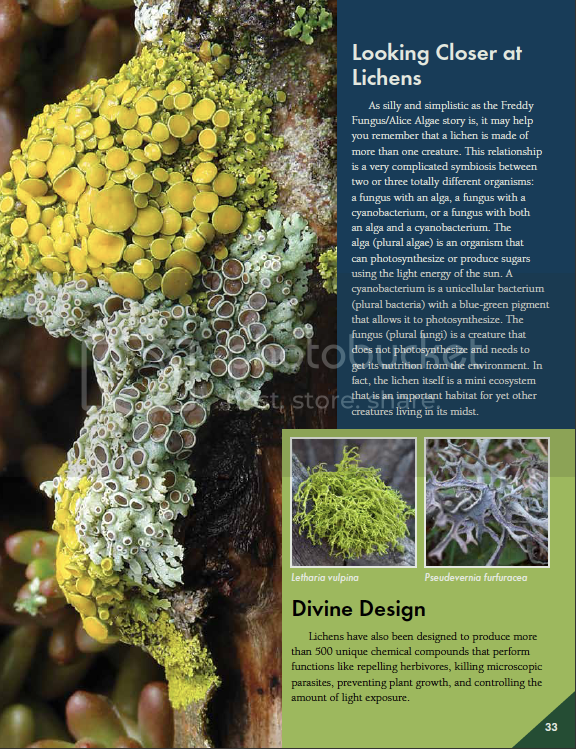 Especially once we got up to Chapter 5: Taking a Liking to Lichens. Once we were getting into specific kinds (or species) there was a definite uptick in the interest level. They felt it was more like real science. This is a fantastic book, but you don't have to take my word for it. There are a few of us blogging about The Ecology Book right now. Go see what some of the other bloggers have to say. I received this ebook for free from New Leaf Publishing Group. In exchange for this review, I will receive the physical book when it comes out, along with some other electronic product. Regardless, the fact that I received complimentary product does not guarantee a favorable review. I am having another week of "I committed to posting about this weekly, and I'm simply going to do it." We are no longer caught up in The American Patriot's Almanac by William Bennett. I think we read a total of one day worth. The Fellowship of the Ring by J. R. R. Tolkien. We're in chapter 2. Not going to finish before it is due, but we are making progress. I may need to buy this one. I am reading Albert Einstein by Kathleen Krull and Investigating Rocks by Will Hurd, as part of the Moving Beyond the Page units that I am doing with William and Thomas. These units are actually meant for ages 10-12, so we'll be beefing it up a little bit for William, however (one day into it) I am impressed. I have some other things planned, but nothing started. And no photo. This isn't a review, though the Schoolhouse Review Crew is currently reviewing Art of Poetry put out by Classical Academic Press. We haven't used enough of it for me to write a solid review. But as I thought about Marcy's Blogging Through the Alphabet link-up, I thought maybe I would try again... and Art of Poetry seemed like a good thing to talk about. The Crew is reviewing Discovery of Deduction (which really thrills me!) and The Art of Poetry. This is where I confess that the idea of teaching poetry to my children was one of those things that way back when could strike fear in my heart. You know, when I had a kindergartner, and people would give me all of that "but what about..." garbage. Most I could shrug off. Actually, all of it, I could shrug off. They asked, "but what about the Prom?" and I laughed. Seriously, who could even envision my cherubic 5 year old wanting to go to the Prom (I still can't quite picture that). But if he does, it isn't like he can't go to one of the ones at the local schools. They asked, "but what about Chemistry?" and I laughed some more. Seriously, with as little chemistry as I learned, I couldn't do any worse than my schooling did. And I knew that there were great helps available and I'd be fine. They asked, "but what about Calculus?" and I laughed. Seriously, that is what community college is for. Or I'll learn it again, only I'll actually learn it this time. But I knew that wouldn't be a problem. What they didn't ask was, "but what about Lit analysis? Or poetry?" That's the question they should have asked me. Because that one would have generated the deer in the headlights look they were hoping for. But nobody asked me that. Well, now I have an answer anyway. We received this product, including the first DVD, and my 15-year-old son ASKED me if he got to use this. "Um, yeah, sure," was my far-from-eloquent response. 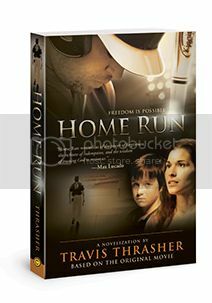 The DVD is basically the author having a group discussion with a very small "class" of homeschool teens, and not only is my high school sophomore learning from it, but it is sucking in his 8th and 6th grade brothers. So they are learning about poetry too. And I don't have to do much of anything. Okay, so I have a couple of discussions with them. But the Art of Poetry is proving to be even easier to teach than I thought Chemistry or Calculus would be.